I have pointed out in the last several sermons that marriage in America is under attack. Some of the attacks, such as the advocation of sodomite and lesbian marriage, are very obvious and we react to them. Some of the attacks are visible, but not quite as apparent as an attack on marriage, so may not react as strongly. An example of this is the change in our divorce laws that have made it easy for adulterers to divorce on terms advantageous to themselves and detrimental to the innocent spouse. Marriage has also suffered from the consequences of well intentioned but foolish charity. Our well-fare system that gives greater benefits to a poor single mother than a poor married mother is a case of this. The percentage of single parent families has skyrocketed since the Great Society programs were instituted in Johnson administration. The percentage of families at the poverty level has also gone up. All those things are bad, but they are all outside influences which the godly can easily resist. What is worse are the sinful and selfish habits that people bring into a marriage so that they destroy their homes with their own hands. This includes professing Christians. Proverbs 14:1 states, The wise woman builds her house, But the foolish tears it down with her own hands. The same general principle can be equally applied to men. Wise men will build up their home while foolish men will tear it apart. Proverbs 18:22 says, He who finds a wife finds a good thing, And obtains favor from the Lord. That is true if you find a wise woman. We saw that such a woman was marked by the character traits described in Proverbs 31:10-31 – trustworthy, good, industrious, prudent, diligent, entrepreneurial, strong, attentive, a hard worker, compassionate, confident, elegant, admirable, dignified, wise and watchful which is why she was honored by her children, respected by her husband and acclaimed by the community. Men who are characterized by the traits of wisdom will build their homes and also be a blessing beyond it. The opposite is also true as Proverbs 12:4 states, An excellent wife is the crown of her husband, But she who shames [him] is as rottenness in his bones. Proverbs has a lot to say about foolishness and its consequences. Foolish ideas and attitudes give rise to foolish behavior which puts holes in the roof and walls of the home and breaks up the foundation. That is true for both men and women. Those foolish ideas arise from many different sources, but regardless of their origin, the ultimate solution is the same. It begins with placing your faith in the person and work of the Lord Jesus Christ so that you become a new creature in Him (2 Corinthians 5:17). It then develops as you put into practice the commands of Romans 12:2 – And do not be conformed to this world, but be transformed by the renewing of your mind, that you may prove what the will of God is, that which is good and acceptable and perfect. You are changed internally so that you can also resist the external pressures of foolishness. As we continue this morning, just a quick reminder to be cautious about listening to these truths to find reasons to judge your spouse. As Jesus taught in Matthew 7:1-5, you have to take the log out of your own eye before you can help someone else with the speck in their eye. And as Galatians 6:1-4 teaches, when you do go to help someone else with their failures, it is to be done with a spirit of gentleness in bearing their burden with them. That is part of loving others as you love yourself. These truths also apply to those of you who are single. All of us must be diligent to develop the godly characteristics of wisdom which are the solutions to the foolishness which tears apart marriage or any friendship. Last week we looked at the dangers of and solutions to the foolishness of being naive, receiving poor counsel, pride, and foolishness. To be naive is not only to be simple, ignorant, unknowing, but it is also to lack discernment which allows you to be affected by negative influences. You may trust others in your innocence, but that gullibility makes you susceptible to worldly influences and exploitation by the wicked (Proverbs 22:3). The solution to being naive is to hear and heed the voice of wisdom calling you to keep away from what is contrary to godliness. You need to learn God’s word because it is what will remove the ignorance and transform your mind. As 2 Timothy 3:17 points out, it is the Bible that is profitable for doctrine, reproof, correction and instruction in righteousness that you may be adequately equipped for every good work. The counsels of the wicked are deceitful (Proverbs 12:5), so you must be careful about whom you allow to influence you. This includes not only family and friends, but also what you read, listen to or watch in multimedia presentations. If the advice of the supposed experts is not godly, it is foolishness. And don’t forget that you are influenced by your entertainment choices whether you are willing to admit it or not. and keep close and intimate friendships only with those who are godly and wise. As Proverbs 13:20 explains, He who walks with wise men will be wise, But the companion of fools will suffer harm. Notice that this Proverb uses the plural, men. Plans succeed and victory is won through the counsel of many (Proverbs 11:14; 15:22). Learn God’s word so you will become discerning about both whom you should have as friends and the counsel that is given. Pride is at the heart of all foolishness because it blinds people to the truth and makes them stubborn in their sin. The solution to pride is found in Proverbs 3:7, Do not be wise in your own eyes; Fear the Lord and turn away from evil. Humility is crucial to walking with God and building a strong home. It is the humble that properly fear the Lord seeking to know His will and walk in purity so that they turn away from evil. The Lord opposes the proud, but He gives grace to the humble (James 4:6), and each of us need His grace. The fear of the Lord is also the solution for foolishness for it is the beginning of knowledge, understanding and wisdom (Proverbs 1:7; 9:10). The fear of the Lord also causes you to hate evil so that you will keep away from wickedness. These things that will remove foolishness and put you on the path to life. We will now press on to examine additional traits and behaviors that are destructive to a home and the solutions to them. I have grouped some of these that are related together, but I have not arranged them in a particular order. Another general term, like foolish, that can be used with reference to a lot of specific character traits and actions that are wrecking balls to a home is wicked. Proverbs 3:33 – The curse of the Lord is on the house of the wicked, But He blesses the dwelling of the righteous. Wicked (r?sh?’ /raw-shaw’) is the opposite of righteousness as seen in this proverb and the many others that contrast the wicked and the righteous. It is used in parallel with almost every Hebrew word for sin, evil, and iniquity. It can refer to attitude and intention, but more often it speaks of the actions and conduct which characterize the individual. In many of the specific traits I will be discussing in the course of this sermon, I will be making reference to Proverbs that describe that trait as wicked. The Lord stands against wickedness because it is contrary to His nature. Proverbs 15:9, The way of the wicked is an abomination to the Lord, But He loves him who pursues righteousness. The level of wickedness then is set by its contrast with the character and attitude of God. A synonym for wicked then would be ungodly. The good news is that though we were born dead in trespasses and sin and therefore with a strong bent toward wickedness, no one has to continue to live that way. God hears and answers the prayers of those who seek Him with repentance and confession. That is the great hope given to us in Jesus Christ. Because He has paid the price of our sin in His sacrificial atonement on Calvary, we can be forgiven our sins. Because He conquered death, the penalty of sin can be removed and we can be given eternal life. Because Jesus has ascended to the right hand of the Father where He makes intercession for us and has sent us the Holy Spirit to indwell us, we can become new creatures who are being changed into His image in holiness and righteousness. The Christian is to no longer be wicked because all those things are true of him. The non-Christian does not have to remain in wickedness if he will be honest and turn from it. Proverbs 28:13 explains, He who conceals his transgressions will not prosper, But he who confesses and forsakes [them] will find compassion. Isaiah 55:7 explains more fully, Let the wicked forsake his way, And the unrighteous man his thoughts; And let him return to the Lord, And He will have compassion on him; And to our God, For He will abundantly pardon. The solution to wickedness is repentance, confession and becoming a disciple of the Lord Jesus Christ. Let us continue on to look at specific actions and attitudes of foolishness and wickedness and the solutions to them so that you can refrain from tearing down your home and build it up instead. One of the characteristics of foolishness is an increasing obstinacy toward the things of God. This is manifested in the home as stubbornness, an unwillingness to learn and defensiveness. All of these arise out of pride which thinks it already knows enough and has it all together. None of us do, for this side of heaven every one of us will still have areas in which we fail and need to improve, but we like to think that we do and so can be blind to the truth. Proverbs 4:19 states, The way of the wicked is like darkness; They do not know over what they stumble. I don’t think anyone here would purposely want to stumble like this, yet we are prone to it if we let pride lead us into being stubborn. Like a man stumbling around in the dark because he refuses to turn on a light, so is the stubborn man in life. The problems and pains he causes himself and others is unnecessary because the solution to the problem is easily available, yet he continues to try to do things his own way. As pride rises, so does stubbornness so that there is a refusal to consider the point of view of others, or even worse, to acknowledge it even when it is recognized. Proverbs 27:22 addresses this kind of foolishness. Though you pound a fool in a mortar with a pestle along with crushed grain, [Yet] his folly will not depart from him. When a person becomes this stubborn, they are resistant to change even when great effort is expended trying to teach him and the lesson to be learned is hard on him. What do you do if you are married to such a fool? First, examine yourself and make sure that the repeated folly is not a reflection of your own stubbornness. Your spouse may be repeating the same folly, but you may be doing the same in provoking it, aggravating it or solidifying it. Second, confess your own foolishness to God in marrying such a fool. Such foolish stubbornness is usually quite evident before a man and wife exchange vows, yet you went ahead anyway. That is a warning to singles to be very careful about whom you commit your life. Third, now that you are humble, look carefully at the role and response God requires of you. The solution to stubbornness is righteousness and its related trait of humility. With the humble is wisdom (Proverbs 11:2), and humility precedes honor. Being humble with other people begins with humbling yourself before the Lord. These proverbs express two basic kinds of self-righteousness. The first are those who think they are righteous because they are doing what they think is right even though their motives are wrong. This is the more common type of self-righteousness. A list of right and wrong behaviors is developed, whether written or unwritten, by which righteousness is then defined. This may be developed by an organized religious system or something the individual comes up with himself, though it is more often a mixture of both to some degree. The list of the religious organization is adjusted by the individual to his personal thoughts and desires. Righteousness is then based on the ability to adhere to the list of proscribed and prohibited behaviors instead of God’s commands which include motivations. Jesus exposed the self-righteous legalism of the Scribes and Pharisees in the Sermon on the Mount in Matthew 5-7. They had twisted God’s commands into things they thought they could do. Jesus exposed their hypocrisy warning that unless your righteousness surpasses [that] of the scribes and Pharisees, you shall not enter the kingdom of heaven. God looks at the motives, not just the actions. God judges for hatred, not just murder. Adultery is committed in the heart before it occurs physically. Unrighteous divorce only increases adultery. Vows are a matter of personal integrity. Revenge is not required, but gentleness and compassion are marks of godliness. Love is extended to enemies as well as neighbors you like. Alms, prayer and fasting are not for public display for they are matters between you and God. Pharisaical self-righteousness is still around today and it destroys relationships because it judges everything by this personal list of right and wrong. As long as the right action was taken in their own mind, then stubbornness is justified. This is seen in the person who says, I am sorry, but the tone of voice cries out that there is no repentance and no regret other than getting caught. Presents are purchased and cards given more to fulfill the obligation or appease than to express thoughtfulness and love. Objections to sinful conduct are rejected out of hand because their personal list does not categorize the behavior in that way. The relationship is evaluated according to the list, not the closeness of the friendship, depth of intimacy or success in fulfilling God’s actual commands. The second type of self-righteous are those who believe that they have right motives, therefore, their actions are excused even when they are actually wrong. This type of self-righteousness is more common among those affected by liberal political and religious philosophy. Good intentions and effort are sufficient justification for any action taken regardless of the consequences. It is even used as justification for violating a command, instruction or a mutual agreement. Such people believe themselves to be pure even though they are in truth unclean . This is detrimental to the home in two ways. First is the direct unintended but negative consequences of the actions. Second, it obstructs correction and repentance leaving the person to repeat the same folly. Proverbs 26:18-19 is an example of this. Like a madman who throws Firebrands, arrows and death, 19 So is the man who deceives his neighbor, And says,  Was I not joking ? The proverb uses the extreme case of a practical joke that ended up being very dangerous to make the case. The jokester self-righteously defends himself by appealing to his motive that it was all done in fun. The actual danger and harm caused are excused in his mind because his intention was only to bring some laughter. He remains pure in his own eyes though his actual actions show he is not yet washed from his filth. He does not love his neighbor as himself. He does not consider others more important. He does not even consider their welfare or safety, only his motive to have some fun. The same is true for all sorts of things that people do with good intentions, but bad consequences. While that can happen to any of us, the difference that marks the self-righteous is their defensiveness and using their motivations as the excuse. The godly will explain their intentions, but will also quickly apologize for whatever happened, seek forgiveness for the unintended consequences and even repair things and make restitution as needed (Exodus 22:6, 14). to them on the basis of their faith in the Lord Jesus Christ (Philippians 3:9). Third, Proverbs 12:15 tells us that The way of a fool is right in his own eyes, But a wise man is he who listens to counsel. Godly counselors will both expose our self-righteous standards and attitudes and help us learn to replace them with God’s standards and a teachable attitude. To be selfish is to be primarily concerned with your own personal profit and pleasure with little or no consideration of others. It goes hand in hand with pride, and it is utterly contrary to the nature of God and what He has commanded of His people. It is natural for sinful man to be selfish, in fact, Jesus uses that fact in explaining the second great commandment, You shall love your neighbor as yourself. Paul points out in Ephesians 5:28-29 when he commands husbands to love their wives as they do their own bodies that for no one every hated his own flesh, but nourishes and cherishes it . . . Those who teach that you have to love yourself before you can love others are absurd. Not only do you already love yourself, one of man’s basic problems is that he is selfish and loves himself too much. Selfishness strikes at the heart of a home for it breaks up the unity of the family and sets each member in competition with the others. God’s design for marriage is that it is a relationship in which you learn to love, be unselfish and give sacrificially for the best interest of the spouse. When marriage becomes a relationship in which each is looking to get from the other it will degenerate into a competitive partnership that will last only as long as both parties still perceive their benefit is greater than the cost. I like Larry Crabb’s description of selfish people in marriage as a tick looking for a dog, and marriage problems arise because both the husband and the wife turn out to be ticks and there is no dog. The solution then to selfishness is to learn to be a dog. Since selfish people value getting what they want over the relationship with the other person, they can quickly degenerate into someone who demands, nags, is critical, manipulative and unfair in actions. The attitude can degenerate into being temperamental, contentious, harsh, angry and even hateful. If they still cannot get what they want, they can become neglectful and indifferent. Again, the solution to selfishness is to become like the dog that can be happy and wag its tail even if there is tick attached. We are commanded to be those that sacrificially give in Philippians 2:3-4, Do nothing from selfishness or empty conceit, but with humility of mind let each of you regard one another as more important than himself; 4 do not [merely] look out for your own personal interests, but also for the interests of others. The passage then goes on to use Jesus’ attitude as the example we are to follow. If He set aside the glories of Heaven to become a man and the die in our place on the cross, then certainly we can learn to be unselfish and sacrificially give of ourselves to one another and especially to our spouse whom we are supposed to love anyway. Learn to be a dog, not a tick. Questions to consider in discussing the sermon with others. What evidence do you see that marriage is under attack in America? What is God’s design for marriage? How can Proverbs help you become wise and build a strong home? What does it mean to be naive? How is that dangerous to the home? How is it overcome? Why is poor counsel so dangerous? What is the solution to it? What is the relationship of pride and foolishness? What is the solution to pride? What is the solution to foolishness? What is wickedness? How is it detrimental to the home? How can a person be changed from wicked to righteous? Are you righteous? When is being stubborn good? When is it bad? What is the relationship between pride and being stubborn? How stubborn are you? What should you do if you are married to someone who is stubborn? What is the role of the husband? What is the role of the wife? What is the danger of self-righteousness to the home? How were the Pharisees self-righteous and how did Jesus correct them? Describe the self-righteousness based on good intentions? What is that dangerous to the home? What is the solution to self-righteousness? How actively to you pursue that solution? Define selfishness? Why is it evil? How does it break up a home? How is selfishness overcome? How selfish are you? 3) Now that you are humble, commit yourself to carry out the role God _____________ of you. 1) Legalistic self-righteousness is based on a man generated _________ of right and wrong behaviors. 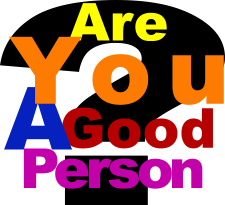 Selfishness ___________into demanding, nagging, criticizing, manipulating, contention, harshness, etc.